Compact fluorescent light bulbs (CFLs) produce light differently than incandescent bulbs. In an incandescent, electric current runs through a wire filament and heats the filament until it starts to glow. In a CFL, an electric current is driven through a tube containing argon and a small amount of mercury vapor. This generates invisible ultraviolet light that excites a fluorescent coating (called phosphor) on the inside of the tube, which then emits visible light. LED lighting differs from incandescent and compact fluorescent lighting in several ways. When designed well, LED lighting can be more efficient, durable, versatile and longer lasting. LED lighting products use light emitting diodes to produce light very efficiently. An electrical current passes through semiconductor material, which illuminates the tiny light sources we call LEDs. The heat produced is absorbed into a heat sink. ENERGY STAR is a U.S. Environmental Protection Agency (EPA) voluntary program dedicated to helping businesses and individuals save money and protect our climate through superior energy efficiency. All Energy Star certified light bulbs comply with more than 20 separate industry standards and procedures, have been stress-tested in operating environments similar to how you will use them in your home, and come with a 3-year minimum warranty. By replacing your home’s five most frequently used light fixtures or the bulbs in them with models that have earned the Energy Star, you can save $40 each year. use about 75% less energy than standard incandescent bulbs. last up to 10 times longer than standard incandescent bulbs. produce about 75% less heat, making them safer to operate. are available in different sizes and shapes to fit in almost any fixture, for indoors and outdoors. If every American home replaced just one light bulb with an Energy Star bulb, we would save enough energy to light more than 3 million homes for a year, more than $600 million in annual energy costs, and prevent greenhouse gases equivalent to the emissions of more than 800,000 cars. Click here for more information on the Energy Star Change a Light, Change the World Campaign. Matching the right bulb to the right kind of fixture helps ensure that it will perform properly and last a long time. Decide how much light you need. The brightness of LED and CFL bulbs is measured in lumens (light output), not watts (energy). Check the package for the bulb’s recommended use. New bulbs are specially designed for certain applications, let the package be your guide! If a light fixture is connected to a dimmer or three-way switch, make sure the packaging specifies the bulb is designed to work in these applications. Think about the mood you want from your light. Both CFL and LED lights come in different colors ranging from warm to cool. Do CFLs contain mercury? And where can I dispose of them? CFLs contain a very small amount of mercury sealed within the glass tubing, an average of 5 milligrams, about the amount that would cover the tip of a ballpoint pen. By comparison, older thermometers contain about 500 milligrams of mercury. It would take 100 CFLs to equal that amount. Mercury currently is an essential component of CFLs and is what allows the bulb to be an efficient light source. No mercury is released when the bulbs are intact or in use. Many manufactures have taken significant steps to reduce mercury used in their fluorescent lighting products. However, due to the fact that (CFLs) contain small amounts of mercury it is import to keep them out of our landfills. To recycle your bulbs, simply bring your CFLs to the Wilmette Public Works Facility at 711 Laramie Ave, Monday – Friday from 7:00 am to 3:00 pm. 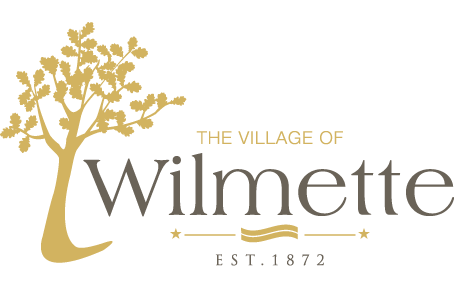 For more information, please contact us at pubworks@wilmette.com or 847-853-7500. Quick cleanup instructions are listed below. For detailed cleanup instructions, visit the U.S. Environmental Protection Agency’s website. Next, check with your local government about disposal requirements in your area, because some localities require fluorescent bulbs (broken or unbroken) be taken to a local recycling center. If there is no such requirement in your area, you can dispose of the materials with your household trash.